Former House Speaker Newt Gingrich and former Massachusetts Gov. Mitt Romney are the top picks for registered Republican likely voters in the latest Gallup poll released Monday. 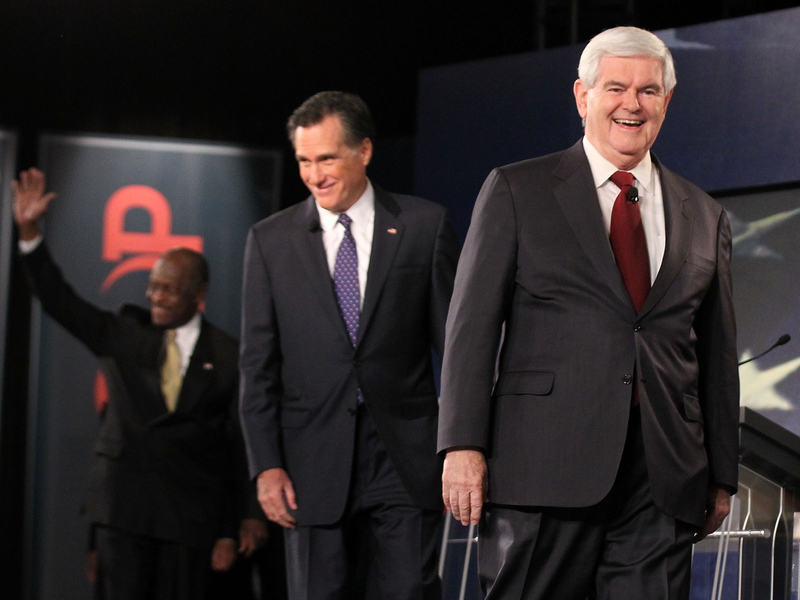 Gingrich edged out Romney by one point among registered Republicans, 22 percent to 21 percent, within the poll's four percentage point margin of error. And Romney topped Gingrich by one point among all Republicans, 20 percent to 19 percent. Georgia businessman Herman Cain finished third in both categories, with 16 percent. Texas Rep. Ron Paul was the only other candidate with double digit support, receiving 10 percent among all Republicans. "With the first official nominating contest, the Iowa caucuses, now just six weeks away, there is no clear national front-runner for the Republican nomination," Gallup wrote. "Romney remains at the top of the list, along with Gingrich, whose campaign has mounted a comeback in recent weeks, and Cain. Gingrich's rise coincides with the recent declines of (Texas Gov. Rick) Perry and, to a lesser extent, Cain," Gallup said.